Amlodipine is a long-acting calcium channel blocker that is also known under the brand name Norvasc. It is used in conjunction with diet, exercise, weight management and other medications to treat conditions related to heart conditions. Amlodipine is used to relax blood vessels and improve blood circulation in patients who have high blood pressure, chest pains or other signs of coronary heart disease. This is done by slowing the amount of calcium that is moved through the heart and blood vessel walls. It may also be used to treat patients with a circulatory problem known as Reynaud’s Syndrome. While this is an off-market use, it relieves symptoms in patients suffering from this condition by dilating blood vessels and returning extremities to their natural color after having been exposed to stress or extreme cold. 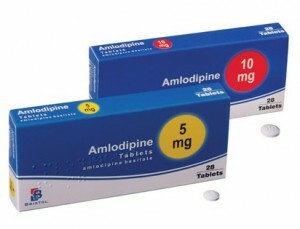 Amlodipine is sold under the brand name Norvasc. You should consult your doctor before taking Norvasc especially if you have heart problems or liver disease. Atenolol is used to treat or prevent coronary heart disease by controlling heart function, but it does not cure coronary problems.